Tickets available for $100 per person. To Reserve Your Tickets, Call 215-348-7321. Tickets are limited, please reserve early. 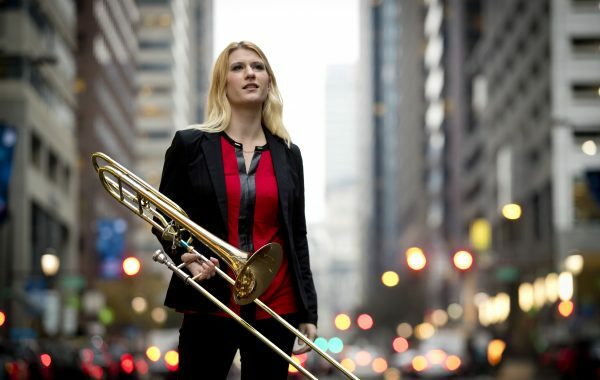 A native of Park Ridge, Illinois, Brittany Lasch earned her Doctor of Musical Arts degree from Boston University, where she received the Brass Department Award. She also holds a Master of Music degree from Yale School of Music. Upon graduation from the Manhattan School of Music, she received the coveted John Clark Award for outstanding accomplishment in Brass Performance. With a deep commitment to education, she has maintained a private studio for the last decade and has presented masterclasses at Louisiana State University, Towson University, and the Boston University Tanglewood Institute. Ms. Lasch, an Edwards Trombone Performing Artist, is currently Assistant Professor of Trombone at Bowling Green University and Principal Trombone of the Michigan Opera Theatre Orchestra.